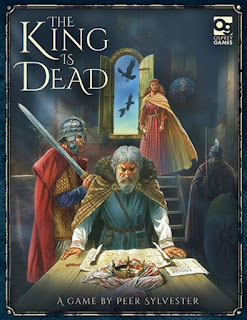 Debuting at Gen Con, The King Is Dead (2015) looks to be a very affordable area control game with an Arthurian theme. While I've yet to see this one in person, I can definitely say that I am interested. It's a two to four player game with a 30 to 50 minute estimated playing time. 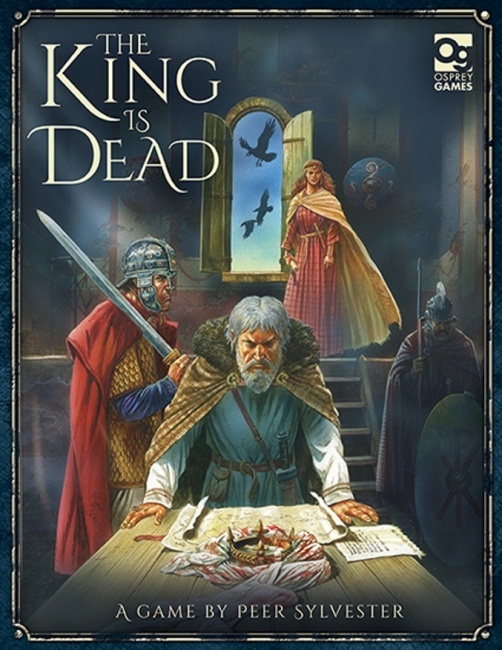 It's due for general release in September from Osprey Games. Players are members of King Arthur's court. Whether a loyal knight, a scheming lord, or an ambitious noblewoman, you all have one thing in common: power. As prospective leaders, each player uses their power to benefit the factions, gaining influence among their ranks. The player with the greatest influence over the most powerful faction is crowned the new ruler of Britain. There is a video interview up on the marcowargamer YouTube channel which I have embedded. The game is currently available for pre-order through the Osprey website here. 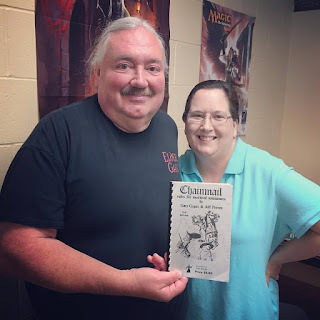 The rules are available now through their website here.